In the near future, drivers in Massachusetts may no longer need to worry about having cash on hand as they hit toll roads. The state Department of Transportation is planning on replacing every tollbooth in Massachusetts with electronic tolling systems that read E-ZPass transponders in cars and send monthly bills to drivers who use toll roads without passes. The new system would be entirely cashless and faster, but could put some 400 toll workers out of a job. 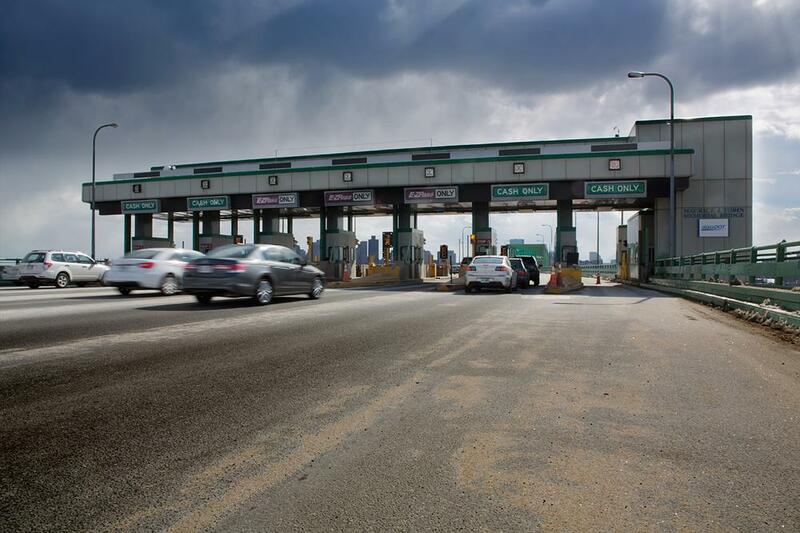 In 2009, two months after a lack of tollbooth workers along the Mass Pike on Easter Sunday had traffic backed up for miles, leaving drivers in some locations waiting as long as two hours to pay, Gov. Deval Patrick signed legislation creating a new Department of Transportation. MassDOT puts highways, mass transit, civil aeronautics and the Registry of Motor Vehicles into one streamlined organization. "We're trying to look at doing things faster, more efficiently and provide more information to the public," said MassDOT Highway Administrator Frank DePaola. 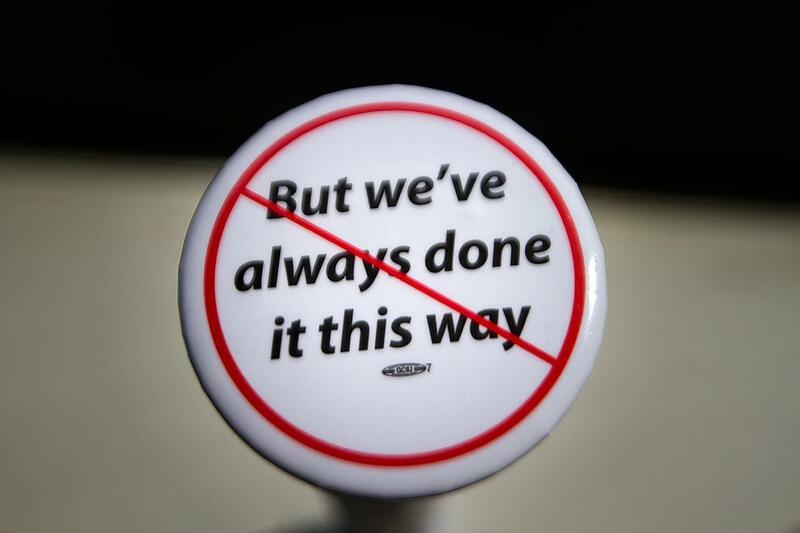 To emphasize the change in thinking his department gives out buttons that read: "But we've always done it this way." The slogan has a red circle and slash through it. "This is a campaign we started to try to encourage our employees to starting thinking differently, out of the box, so to speak," he said. That's figuratively and literally out of the box — the Highway Department is planning on doing away with every tollbooth in Massachusetts. MassDOT says by spring 2014* the tolls on the Tobin Bridge will be gone, and within three years so will the rusting toll plaza boxes on the the Mass Pike. They'll be replaced with state-of-the-art electronic tolling — a system of over-the-road sensors to read E-ZPass transponders in cars. And for those without the devices, DePaola says, a monthly bill will come in the mail. "The high speed cameras will capture very high resolutions of the license plates," DePaola explained. "Through the national database we'll look up the registration of that vehicle. The technology is such now that it is possible to take cash out of the system, and cash transactions take time." And time is big money on Massachusetts toll roads. On an average weekday, tolls are collected from 574,000 cars on the Tobin Bridge and Mass Pike. Last year, the state took in $325 million. The new electronic system will be entirely cashless and faster. No longer will you have to slow down for a sensor to read your E-ZPass transponder, or squirm in search of loose change. Forty-five to 50 cents of each cash transaction on the Pike and Tobin Bridge goes to pay toll workers' salaries. There are 410 unionized toll takers working Massachusetts roads and their average wage is $33 an hour — costing the state $55 million a year. Peggy T., who collects cash at Exit 13 on the Mass Pike, says they earn their pay. "We get called names, spit at, thrown things at, people smash things in our hands," she said. "We get abused out here. It's abusive. That's why we get paid what we get paid." The new electronic toll system doesn't need legislative approval, but it will cost $100 million to build and install. Highway Administrator DePaola says that by eliminating the toll takers the system will pay for itself in two or three years. "The toll collectors that we employ now and have employed for many years have done their job admirably over these years," DePaola said. "The time has come that that position, in the near future, won't be required." The toll takers union wouldn't comment for this story while their new contract is under negotiation. 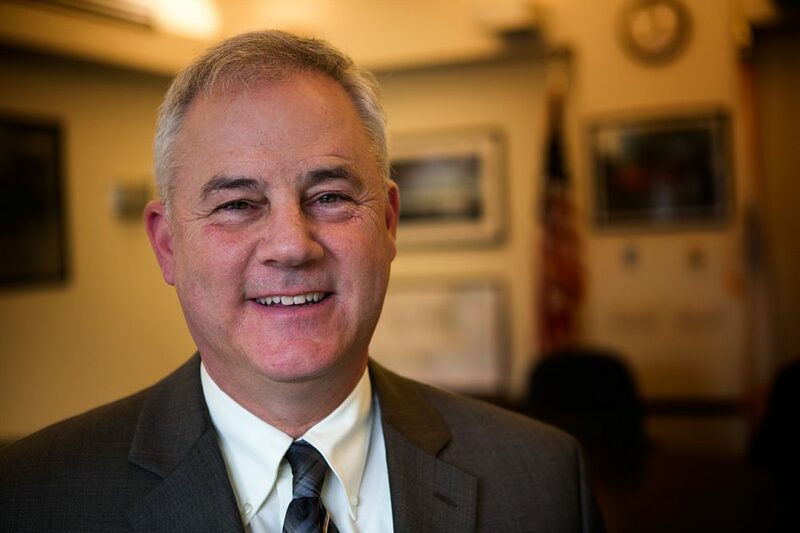 "Our plan is to retain many of them working in the back office systems, so to speak, for toll collection and possibly provide training for other [Department of Transportation] positions," DePaola said. The new electronic system includes a plan to raise tolls every other year to keep pace with inflation, and DePaola says there could be other changes. "With the electronic tolling format, it would allow us to look at other potential tolling locations," he said. Among the roads being considered for tolls is Route 3, south of Braintree. The road would be widened so tolls could be added for special hot lanes, so drivers who want to go faster would have to pay. Paying extra is just fine with Matt Talmadge, of Westfield, who was taking a break the other day at the Mass Pike plaza in Natick. "I don't have a problem tolling maybe some other highways or something like that," he said. "I'm from western Mass. You want to do [Interstate] 91? That's fine. If we need it for the money, I'm for it. And the people that use it pay for it, and the people that don't use it don't have to worry about it." Thirty-five states have toll roads, but Massachusetts has reciprocity agreements with just New Hampshire and Maine, and is currently negotiating deals with Rhode Island and Pennsylvania. When the new system goes into effect, drivers from other states will have their license plates photographed and they'll get bills at the end of the month. That's a problem for Roxanne Espesito, of Syracuse, N.Y., who was driving the Mass Pike the other day. "That's an issue right there," she said. "They need to take care of the people from out of state, like me. I don't like any surprises at the end, I like to pay up front." For DePaola, the solution to that problem is moral persuasion. "If you're out of state and you don't pay the toll then we will just have to hope, that through your personal honesty, you will pay that bill. And if you don't, possibly the next time you're in the state your reception won't be quite so friendly," DePaola said. Correction: An earlier version of this story incorrectly stated the timeline for removal of the Tobin Bridge tollbooths. The tollbooths are slated for removal during the spring of 2014. This program aired on March 27, 2013.